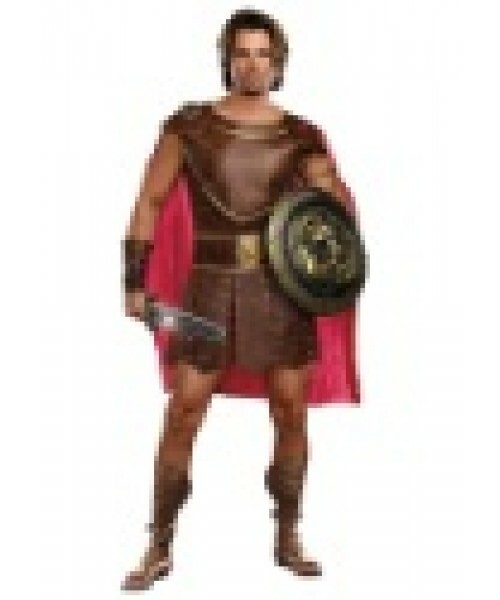 This plus size men's Hercules costume will have you ready to battle with the best dressed gladiators around. 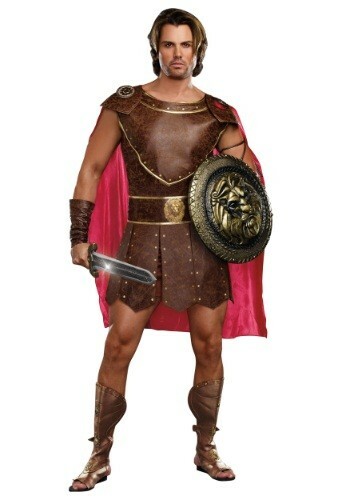 Hercules had a tough life. The son of Zeus and a mortal woman, he was the object of Hera's hatred before he was even born--she took out her anger at Zeus's adultery on his unfortunate illegitimate son. Yet he grew up to become a great hero. Hera did her best to thwart him, driving him insane and causing him to murder his own wife and sons. To atone, he performed the famous Twelve Labours. You don't have to do all of that tho become this hero. Just wear this Plus Size Men's Hercules Costume!